Oeuf Sparrow cot now available in limited edition colours! 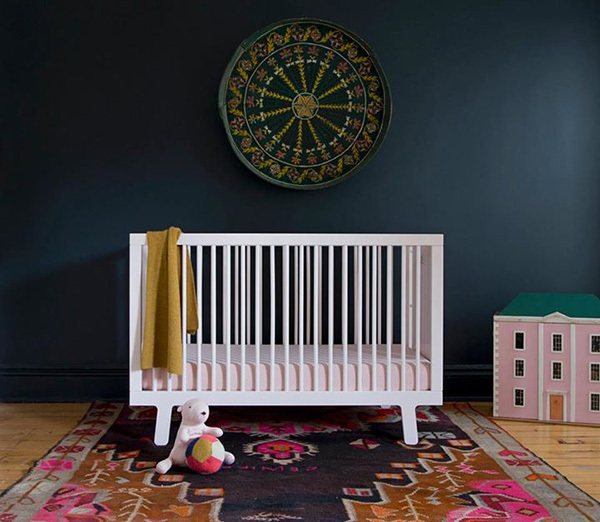 Just when you thought the stylish Oeuf Sparrow cot couldn’t possibly be any more superb, design giants Oeuf go and release their bestselling cot in brilliant limited edition colours! 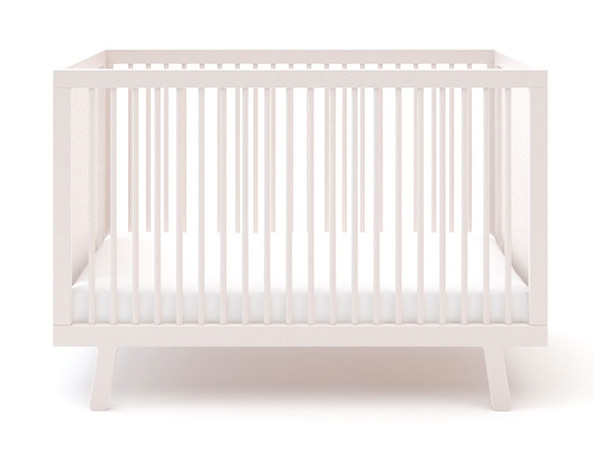 The gorgeous light and airy design of the Oeuf Sparrow cot (US$820) is a favourite of many Babyologists for contemporary, on trend nurseries. Oeuf has recently added two limited edition colours to the classic white, birch, walnut and grey colour options of the Sparrow cot. Now we really wish you luck in choosing. 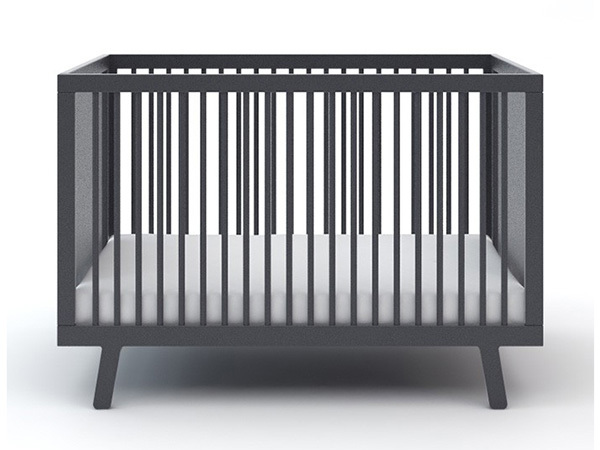 I adore a dark cot with the same vigour with which I love a brilliant white one, and the Sparrow cot in slate delivers a strong and masculine look for the modern nursery. Alternatively, the pastel petal Sparrow offers a hint of colour which makes for a striking contrast against a dark wall, as seen at the top of this post. 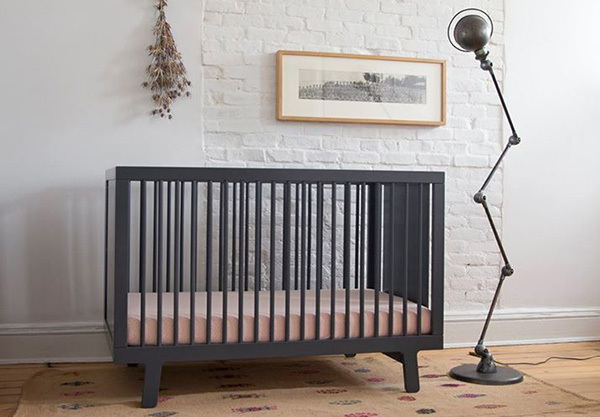 The Oeuf Sparrow cot in limited edition colours slate and petal will be available in Australia early 2016 at Kido Store, priced $1299. We’ll be sure to update you when they arrive on Australian soil!